As the popular saying goes, if something is too good to be true then it probably is. This perfectly sums up the life and career of Bernie Madoff. At a point, he was one of the most sought-after investment managers in America. The cookie however crumbled in 2008 when it was discovered that he had no genuine investment plan but rather an elaborate Ponzi scheme. It left thousands of his clients devastated with the loss estimated at a whopping $65 billion. Find out more about Bernie Madoff here including his family, bio, and whether he is still alive? Bernard Lawrence Madoff was born on the 29th of April 1938 in New York City. He hailed from a Jewish family; his father’s name was Ralph while his mother’s name was Sylvia. He also had two siblings – a brother named Peter and a sister named Sondra. Bernie Madoff attended the Far Rockaway High School and graduated in 1956. For his college education, he studied political science at Hofstra University and graduated in 1960. Upon graduation, Madoff briefly studied to be a lawyer but eventually to left set up his own investment firm. The firm was known as Bernard L Madoff Investment Securities LLC and he reportedly used the money he saved up from his time as a lifeguard to start the firm. He commenced trading in low priced stocks and his clientele steadily grew thanks to his father-in- law’s contacts. His business was also boosted by an ICT innovation and he helped to found the NASDAQ, an electronic-based stock exchange in New York and he would serve as its director for the following three years. Bernie Madoff attracted clients by promising handsome returns on investment. He then used the money invested by later clients to pay the earlier ones rather than making genuine investments. He soon became a well-known investment manager and his client base extended to include people such as famous Hollywood director, Steven Spielberg. One thing that has intrigued many is how Bernie Madoff went unnoticed for so long without any official intervention. In the year 1999, a finance expert named Harry Markopolos made a report to the Securities and Exchange Commission. He reported that it was not possible for Madoff to be making the type of returns he was making. This report was however not taken seriously even though he continued making the complaint in 2000, 2001, 2005 and 2007. Things, however, came to a head in 2008. Following the global financial downturn of that year, Bernie Madoff found that he could no longer meet obligations to clients. He was supposed to pay out $7 billion but found that he only had $234 million in his business accounts. He confessed his situation to his adviser as well as his family and his sons subsequently reported him to federal authorities. This was in December 2008 and he was later arrested. It is actually hard to pinpoint when Madoff’s company turned into a full-blown Ponzi scheme. Madoff himself said that it started in 1991 while investigations have revealed that it probably started in the 80s or the 70s. All in all, his clients lost $65 billion with $17.3 billion being the amount actually invested and not paid back. Till date, at least $11 billion has been recovered and paid back to his victims by the government. Bernie Madoff is married to a lady named Ruth. They met while in high school and got married in November 1959. Ruth actually co-founded her husband’s company and worked as a bookkeeper in his company. She denied knowing anything about his Ponzi scheme. She also disclosed that she and her husband attempted a joint suicide when the fraud was uncovered. Following the legal case against her husband, Ruth surrendered $85 million to the government and was allowed to keep $2.5 million. The Madoffs had two children named Mark and Andrew Madoff. They both worked for their father and were also involved in philanthropic activities, however, both of them are now late. Mark committed suicide in December 2012; he was 46 at the time. Andrew died of cancer two years later, in September 2014. He was 48 years old at the time of his demise. Is Bernie Madoff Dead or Still Alive? Bernie Madoff was arrested on the 11th of December 2008. He was eventually charged with 11 felonies including money laundering, perjury, false fillings, and fraud. He pleaded guilty on the 12th of March 2009 and was sentenced to 150 years in prison on the 29th of June 2009. Given the fact that he is now in his 70s, it is most likely that he will spend the remainder of his life in prison. He is presently serving his time at a federal prison in Butner, North Carolina. There have been reports of altercations with fellow inmates. In December 2009, he was reportedly taken to a hospital outside the prison due to serious injuries that he sustained in a fight. He, however, said that the report was false and that he was hospitalized for hypertension. 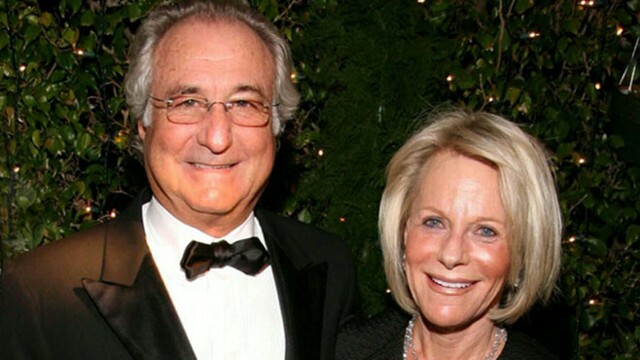 So, Madoff is still very much alive. He has however revealed that he is suffering from a stage 4 kidney disease in addition to hypertension.